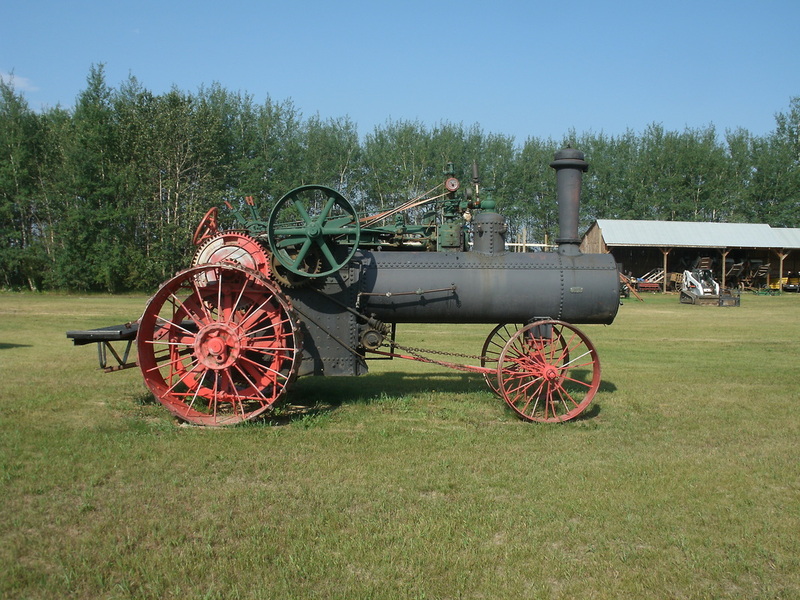 Steam engines like this one were instrumental in taming the prairies. While a man with a good team of horses could plow about two aces of land in a day, an engine of this size could do about 4 times that amount. Steam engines also greatly improved the threshing process because they could operate much larger threshing machines than had been possible before. Steam engines were something that not every farmer could afford. In 1916 an engine like this would have cost about $3000, not including shipment from the nearest dealership (of which there were only four in Canada). Adjusted for inflation this would be about $50,000 dollars. 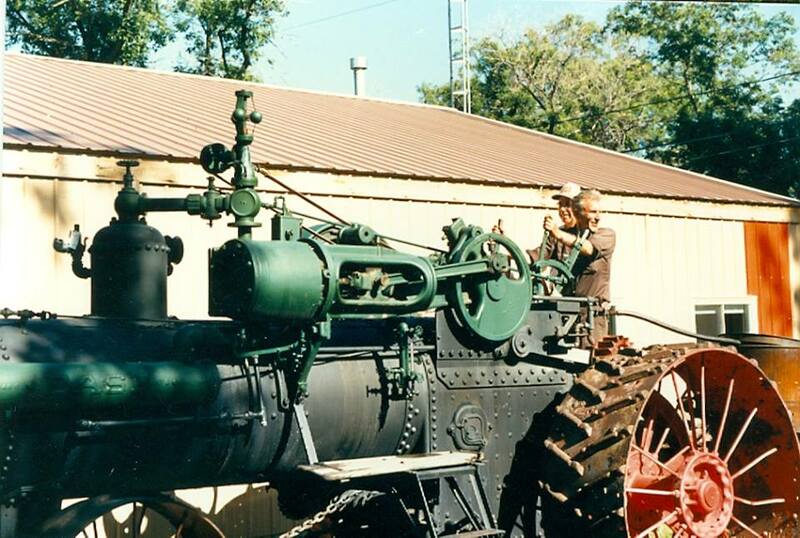 We do not have much information about the history of our steam engine. 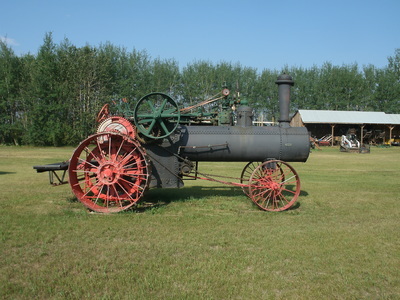 The museum purchased the engine from Bud Dancey of Carnduff, Saskatchewan. 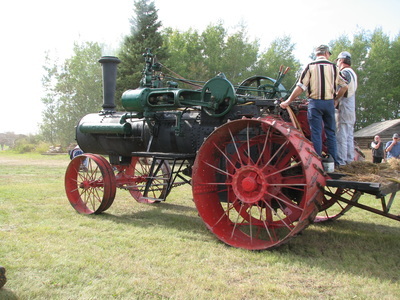 He had purchased it from a Barry Callum of Neepawa Manitoba.